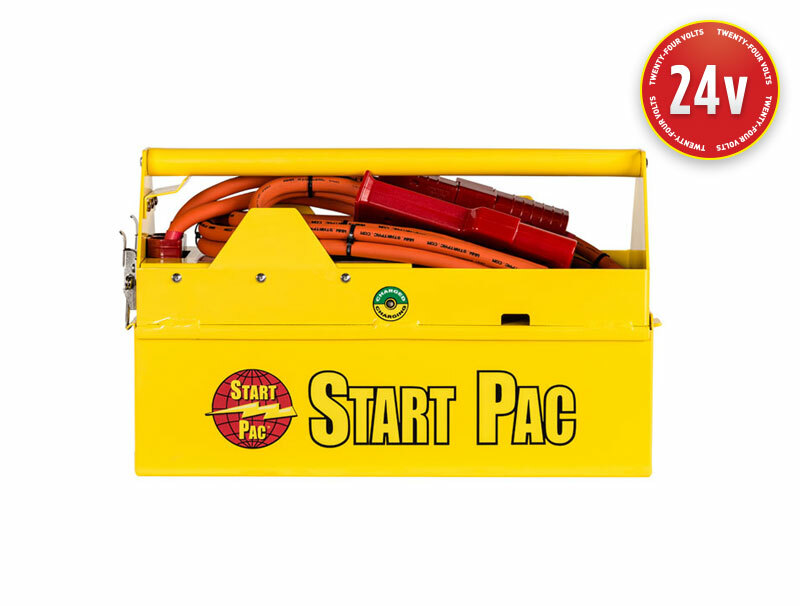 This 24V All-In-One air portable/carry-on START PAC® with built-in chargers, power plug and cables is ideal for starting aircraft, tank, and military truck engines. It is designed for engine starting only. 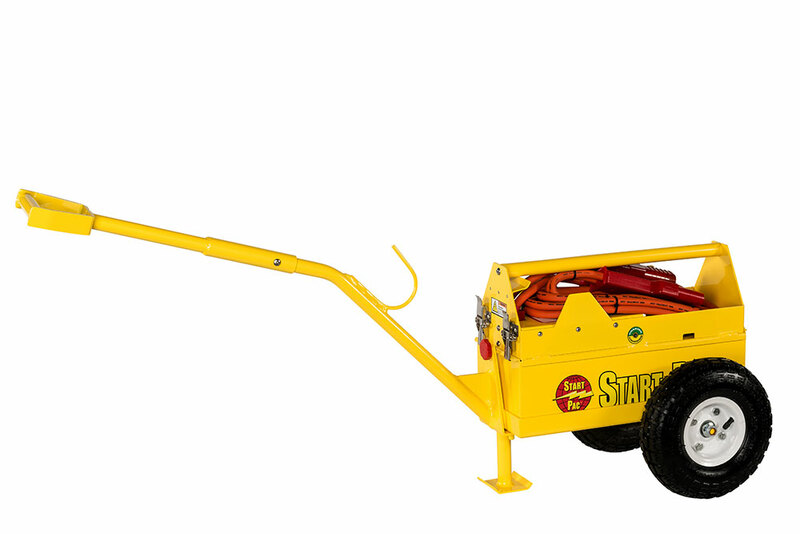 This portable starting unit is one of our most popular starters for use at home base and in the field. It will start turbine, or piston engines up to 1500 horsepower. It is equipped with universal chargers that will accept 90-240 VAC at 50/60 hertz with a recharge time of less than 3.5 hours. Also available as a “Twin Pac”. 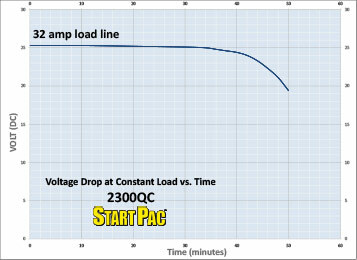 The new Patent Pending Start Pac® 2300QC has a separate removable portable battery pack that can be changed in 10 seconds. 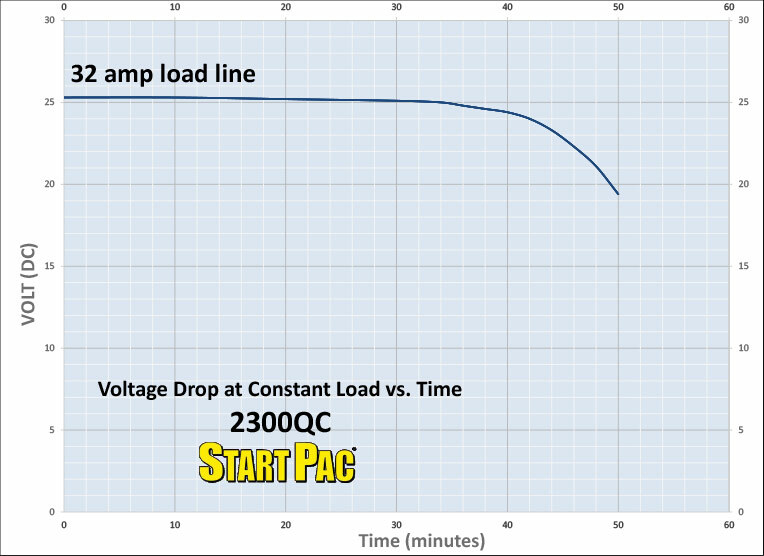 This feature allows the user to change batteries in the field without needing to send the Start Pac® back to the shop or Manufacturer. The Model 2300QC turbine starting unit can be used for starting engines up to 1500 horse power and give four to six starts between charges. This unit has a dual redundant 4 amp chargers. 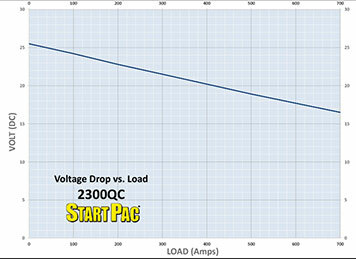 When plugged into an AC source, 8 amps at 28VDC is available for maintenance functions without depleting the batteries. Recharge time is approximately 3-1/2 hours. 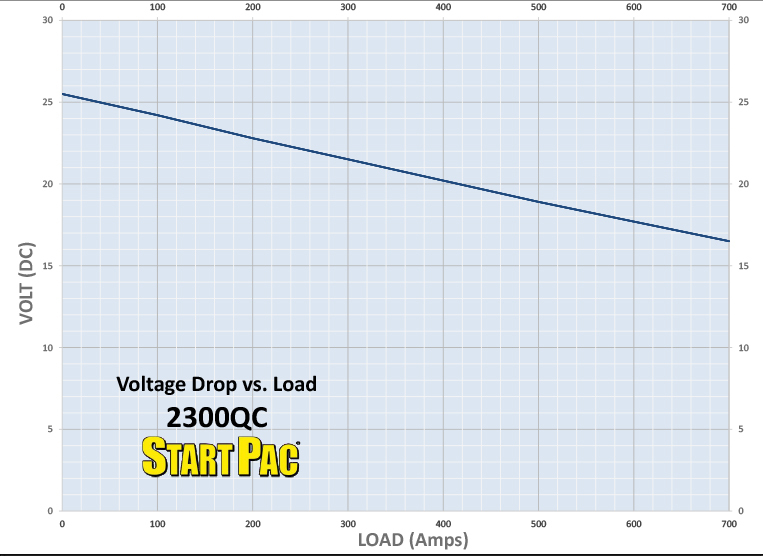 Certain aircraft will allow the ship’s generator to back charge a GPU. In this manner, this portable battery pack can be indefinitely recharged in the field without an AC source. We also carry a powerful self propelled GPU.